RAID: Shadow Legends may have been around for some time yet the game, as well as its number of fans continue to grow each day. 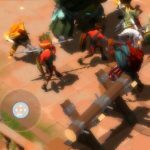 With its superb graphics, tons of gameplay to offer, as well as depth of customization, RAID: Shadow Legends has undoubtedly captured the hearts of mobile strategy RPG enthusiasts and newbies alike with its epic appeal. 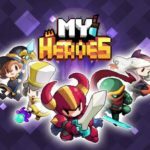 As your main goal in the game is to collect heroes and form the best teams possible to successfully progress to the many challenges that lie ahead in the game. Besides crafting your own unique strategies as you choose the best from among the heroes you gather, a lot of time and commitment to grinding is a joyful necessity if you really want to grow your strength most efficiently. 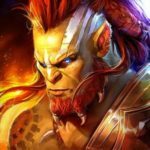 Despite the existence of game offerings that can instantly boost the growth of your army in terms of size and strength, playing through RAID: Shadow Legends’ story and dungeon quests can still be a lot of fun for totally free-to-play gamers. Progressing through the story stages and dungeon challenges with increasing difficulty levels is bound to come to intermittent halts at some point and as you need to muster more power through grinding, there are definitely a variety of options to choose from as you go. There are no straight lines to follow on how you should spend your energy for guaranteed increases in battle power but for purposes of guiding you in case you are totally lost or relatively new to farming and grinding, we will be laying out some useful tips and strategies to guide you along the way. If you recently just started playing the game and especially new to the genre or still getting to know the basic mechanics, be sure to visit and read through our RAID: Shadow Legends beginner’s guide as we presented several tips and strategies to best prepare you for battles and outsmart your enemies. Once you do get a good grasp on the game and have progressed well enough to hit the power gap wall in the campaign battles or dungeons, then read on through for more helpful tips on how to further strengthen your team. Unless you are completely lucky with your hero draws from the portal, chances are you will be initially struggling to acquire 3 or higher star-grade heroes from using Mystery Shards. Although you have some use for 2-star heroes in the first few chapters of the campaign, all these heroes will only serve as food for your stronger heroes from early mid to end game. It’s a good idea to bank on at least 3-star quality heroes and despite the challenge of actually drawing them from the portal, it’s fortunate that some 3-star heroes can be acquired through finishing campaign stages. Although there are still bleak chances of acquiring 3-star heroes by completing stages with a full team, the overall quality of rewards you can get depend on the star rating of your completion. As such, aim to secure a 3-star victory easily using 2 of your best heroes to finish campaign stages they can on auto mode. As each chapter in campaign mode holds a different hero up for grabs, be sure to try and go for the rare ones you would want to have on your team first before moving on to securing additional ones needed to rank up the heroes in your roster. The typical ranking up of champions you should actually be using in battle starts from 3-star ones going into 4 stars. To do so, you need to reach the max level of 30 first and then sacrificing 3 other 3-star champions as “food” to raise the max level champion’s star grade. Now, despite grinding through campaign missions repetitively for some time, it will be a great challenge to rank up your entire team to 4-star rank as you would need an extra 12 3-star champions as food. So at some point, after trying to earn the 3-star heroes from the campaign chapters that you want on your team, you can revert back to regularly farming campaign stages for experience points as well as some equipment. If your primary objective in grinding no longer focuses on nabbing some 3-star champions within your reach from the campaign chapters, then there’s hardly any more reason to try and repeatedly challenge easily conquerable stages going for a 3-star victory. As such, you can switch out some of your main champions out to include some 2-star champions you would want to rank up to the next food level. As champions gain experience points regardless of whether they make it through the end of the stage or not, you can easily bank on just 1 strong champion whom you are certain can finish the stage alone and bring in 3 others that need to gain experience points. Again, as you would want the grind part to consume as little of your time as it can, make certain that your strong champion can complete the stage on auto mode. It’s easier to rack up 2-star champions as their max level is only 20 and you only need 2 other 2-star food to rank them up to 3-stars. In just a relatively shorter amount of time, you can easily acquire a lot of 3-star champions to rank up the ones you actually use in important battles. Understand, of course that this shouldn’t end your grinding sessions as the maximum star rank in the game is 6 stars. It’s a long way to go even if you are lucky to instantly grab one or a couple of 4 or even 5-star champions along the course of your game but remember that on top of the tiny possibility of still getting some 3-star heroes along the way, the experience points you acquire through grinding from campaign stages along with some equipment adds on to what makes it fun and rewarding. If you find yourself in a bit of a slump early on in campaign mode, be ready for a tougher road ahead as the entire campaign stretches across 12 chapters. Beyond that comes hard mode and brutal mode which costs more energy to battle through but does offer better rewards. The run towards clearing every stage in campaign and moving forward with the higher difficulty level ones just aren’t for getting more experience points and potentially additional champions, instead the end-result you aim to get here is to at least nab some 5-star pieces of gear in brutal difficulty as your means of raising your chances of getting more out of the challenging dungeons. The truth is, what you would want to have on your champions are 5-star quality gears, regardless of rarity. You can get a lot of 3-star and even rare ones from some campaign stages even early on but at some point in the game, you will have to swap them out once you have access to 5-star class gears. In a sense, it’s ultimately pointless to farm for gear in campaign prior to reaching and progressing through brutal difficulty, but as the road towards getting there is a challenge in itself, you can arm your champions with whatever gear you can grab on the way keeping in mind that you will switch out those gears that are not at 5-star quality later on. Relatively, be sure to plan ahead on the specific stats of the gear you are aiming to acquire for your champions. Considering the limited slots you have for carrying excess equipment as well as the odds of actually pulling in the ones you really want, getting the right equipment with the right stats and star grades can prove to be an even bigger challenge than settling for the main champions of your team. Like Campaign Stages, the rewards in the Dungeons get better the farther you get and is your primary source for arcane potions you need to ascend your heroes, mastery scrolls that are essential as well in strengthening and customizing each of your champions, and much better gears for your champions. Take note that before you even begin to take on the dungeons, you must be ready with a 5-champion team and likewise have each one geared up enough to give you a good enough chance of finishing even the easiest of levels. The dungeon levels will most definitely be a lot more challenging than campaign stages and even on the initial levels, you may just as easily struggle to succeed. With the exception of the Spider’s Den which is uniquely set up, dungeon levels are in a way like campaign stages where you will initially battle through 2 sets of regular mobs before facing the dungeon boss. In essence, if you are struggling to even get through the mob waves, then it’s already a clear indication that you need to power your champions up some more before pushing to proceed further. As a matter of strategy, make sure you have a champion that support the party through buffs and heals as well as crowd control abilities that debuff enemies and bosses. These skills will be very helpful to your party and can spell a big difference between success and failure especially on the higher levels. It will take a lot of grind and powering up to get the most out of dungeons in RAID: Shadow Legends. Be sure to consider progressing through once you have enough power gathered from grinding through the campaign mode. For the most part in the earlier part of your game, you should only consider spending energy on dungeons to complete missions or quests as needed for you to earn extra rewards. Grinding and farming isn’t just to deplete your daily energy and earn immediate experience points, level up your account and champions, and obtain some random loot. On top of what you instantly acquire for every bit of energy you spend in the game, there are tons of extra in-game rewards you can obtain by completing missions, quests, and challenges. Be sure to check the lists out through each icon at the lower left side of the screen. Some, especially daily quests can be easily accomplished just by following your usual activities in the game. Keep in mind that you can earn a lot of rewards here that can boost your progress much faster. Additionally, there are items to work for that will be very difficult to acquire through other means. On top of these quests and challenges, there are also time-limited events to take advantage of. Whenever available, these events will be indicated by an icon and a countdown timer at the upper right side of the screen. Be sure to look into the objectives and spend some effort into reaching the set goal to claim rare and important rewards. There is still plenty of ground to cover in intricate world of RAID: Shadow Legends and perhaps, we will return with an additional guide later on once we have gone even deeper into the game and discover more of the secrets it keeps. For now though, this is where we will end our advanced guide for the game. Like many strategy RPGs and loosely similar games, the road to progress in RAID: Shadow Legends greatly depend on the amount of time and level of commitment you can spend on the game daily. As such, be sure to make it a point to expend as much of your energy engaging in battles across the multitude of choices you have in the game following the prioritization we laid out in our guide. If there are some relevant tips and strategies we have not mentioned and you feel should be a part of this guide, you can let us know through the comment section below!